This finding-a-niche-in-Las-Vegas approach seems to be working well for Taylor Hicks. Formally and finally announced this morning is Hicks’ return to Indigo at Bally’s, the venue of his well-received summer stint and entry point to a Strip residency. In what is specified as a yearlong commitment, Hicks is back Oct. 17-Nov. 12 and Dec. 3-16, with dates next year to be announced. 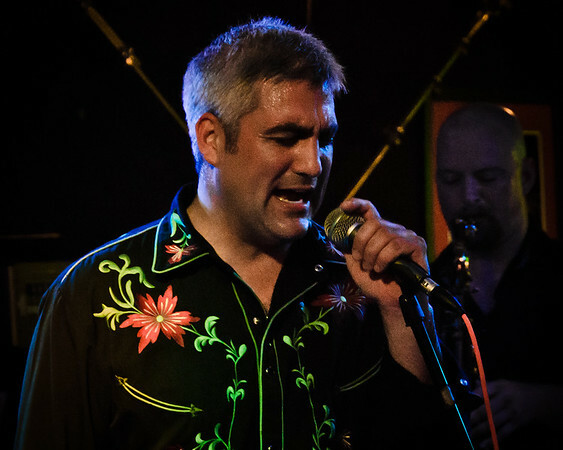 Things have been quiet on the Taylor Hicks front lately, as he has been preparing material for his new album. Taylor has moved to Nashville and has been working with various songwriters and reviewing songs to gather material. We are guessing the sound will be a country-rock-blues hybrid. Keb Mo has been mentioned as a possible collaborator. Look for more updates on the album’s progress here as it develops. Taylor played a rousing show at the Flamingo Room in Houston, Texas on 9/16/2011. Many thanks to Bonnie C. who recorded the set. Taylorography has split and tagged the songs for easy playback on your media devices. The legendary Flora Bama, sometimes known as “The Last American Roadhouse”, held a Labor Day Weekend concert featuring Taylor Hicks, with special guests Rollin In The Hay and Spoonful James. Tropical storm Lee put a damper on what was planned to be an outdoor beach concert, but the festivities were moved inside. Taylor played a rousing set to a packed house as the storm raged outside. Later On, various members of Hay and Spoonful James joined him onstage for an encore.